The final day of the challenge. I hope you feel proud of the commitment you’ve made. It’s very easy for life the get in the way of self-care, so you deserve some recognition for your effort. 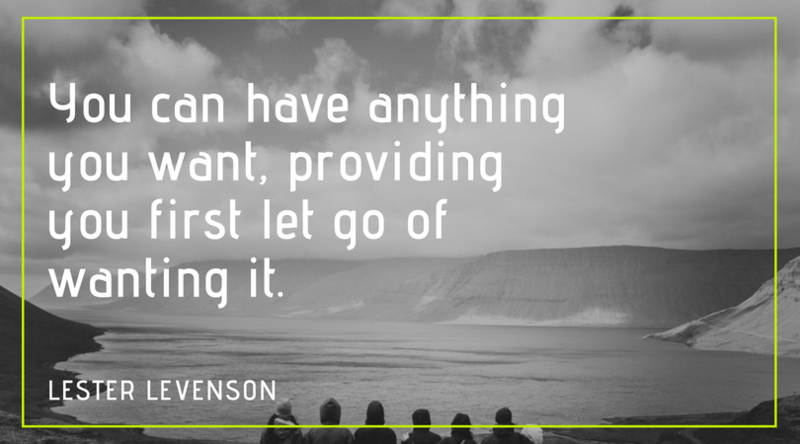 Today we’re going to be talking about the importance of letting go. Specifically, we’re going to be looking at how we can let go of the past. Ready for the last lesson? Do you ever wonder where the negative thoughts and beliefs that cripple your confidence really come from? If you take a close look, they’re almost always memories from the past projected onto visions for the future. These memories may be encoded in images, or sounds, or even just gut feelings, but their role is to help you make judgements about your future decisions. For example, if we happen to fail a driving test 4 times in a row, our memories serve to help us approximate the probability that we will succeed on the 5th time. However, these approximations are almost never so straightforward. A driving test is a structured and controlled environment where there are a limited number of variables that can contribute towards our performance. When it comes to other areas of life; who we should date, what job we go for, whether we feel deserving of love, when we should speak our mind – these things are informed by a whole bunch of distorted and unrelated memories. What so-and-so said to us in the fifth grade. That time our parents yelled at us for failing a test at school. A confusing break up we had three years ago. None of these things should be determining our confidence as much as they do. So today we’re going to identify some of these negative beliefs and try to let go of them. There are two methods of inquiry that I’ve used before for letting go of attachments to old memories. They’re incredibly effective, but you have to be persistent. One is The Work by Byron Katie, and the other is the Sedona Method – today I’ll run through the Sedona method. Today, I want you to choose a memory from a relationship you have that hurts your confidence. It has to be something that is more than 3 years old and something that you think about relatively frequently, say at least once a month. When you have that memory, close your eyes, focus as much as you can on the feeling of that memory, and ask your self the following questions. Keep your attention on the feeling as much as you can, and relax deeply as you ask the question. Would I be better off if I let this feeling go? When could I let this feeling go? Could I let this feeling go right now, even if only partially? Is there a part of my body and mind that has already begun to let go of this feeling completely? Run through these questions 3 times, pausing to feel the change in experience at the end of each question. By the end when you recall the feeling, you should feel lighter and less attached to the memory! If you’d like to take it further, you can do this for 2 other memories. The key is consistency! I challenge you to do this with 2 memories for 30-days, I’ve done this and it completely changed the way I perceived a situation. It was literally like taking a weight off my back. Again, thank you for taking the time to focus on your self. I would love to hear what you thought of the course, what you liked, what you didn’t like. what you thought could be improved. Your opinion really matters to me, so if you’ve got something to say, send me an email at ben@projectmonkeymind.com.